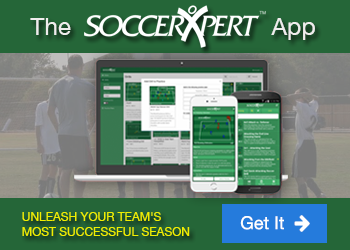 These tools were built to assist soccer coaches in relation to game management. These printable documents are built to track team stats, document important game occurrences, and allow the coach to draw schematics for sideline or halftime teachable moments. The next time you face your opponent, you'll be ready for them. Soccer stats will help you keep track of past games. Not every coach has a photographic memory of all the games they have played in the past. This stats program will help refresh your memory. Download this big soccer field and print as many as you like. This printout of a Soccer Field allows you to trace players runs, show positioning and help players recognize situations. This Soccer line up download is great for organizing your thoughts prior to the game. an official outline of the USSF "E" Level course. an official outline of the USSF "D" Level course. an offical document produced by USSF outlining the progression from 4v4 soccer to 11 a side. documentation provided by FIFA regarding soccer player nutrition.